With 30,000 votes cast, SoolNua’s 2nd annual #worldICECREAMindex drew to an exciting climax this week as St. Louis’ Ted Drewes finally overtook Bratislava’s Koun to take the highly coveted top stop in the rankings. During the final weeks of voting the top three contestants constantly swapped places, but, in the end, Ted Drewes was the clear winner. “SoolNua’s #worldICECREAMindex celebrates and recognises the central role that ice cream plays in defining a destination and highlighting its authenticity and originality. We’re thrilled to see that it has captured the imagination of destinations as far apart as Vancouver and Istanbul” said Patrick Delaney of SoolNua. SoolNua’s Pádraic Gilligan added: “This year’s rankings were hotly contested with over 20 DMOs from 13 different countries participating. It was particularly gratifying to see how creatively the top DMOs and their stores engaged with visitors to secure votes and to build brand profile”. 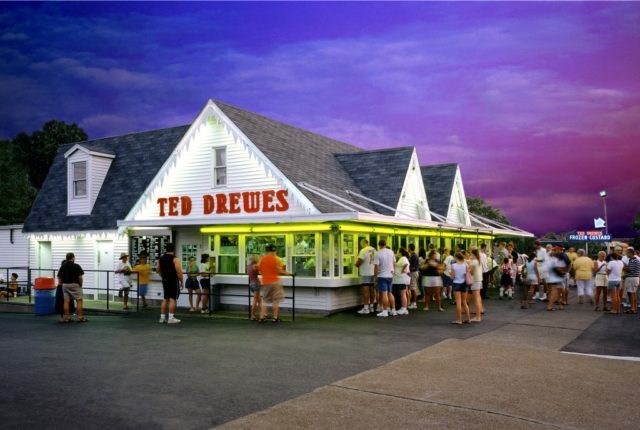 “With so many great ice cream shops and destinations from around the world participating in this fun (and delicious) competition, it is truly an honour for Ted Drewes, St. Louis and the U.S. to be recognised as the winners of the 2016 #worldICECREAMindex,” said Kitty Ratcliffe, president of Explore St. Louis. Ted Drewes of St Louis (USA) was the 2016 #worldICECREAMindex winner ahead of Koun from Bratislava (Slovakia) and Lake Lounge at the Grand Hotel Toplice in Lake Bled (Slovenia). Full rankings of the stores, cities and countries for 2016 may be viewed here.